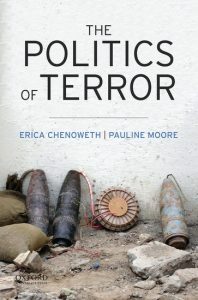 Bringing together both classic and contemporary research, The Politics of Terror provides a systematic introduction to the theory, politics, and practice of terrorism. In addition to offering a comprehensive, evidence-based overview of the subject, Chenoweth and Moore challenge readers to think critically. The book is oriented around a set of empirical, theoretical, and methodological puzzles that arise in the study of terrorism. By encouraging students to engage with these puzzles, and equipping them with the resources to do so thoughtfully, the authors present a nuanced introduction to a complex and crucially important field.